Inner Wheel Club of Mysore Gold had organised a campaign to highlight women empowerment and girl child education. 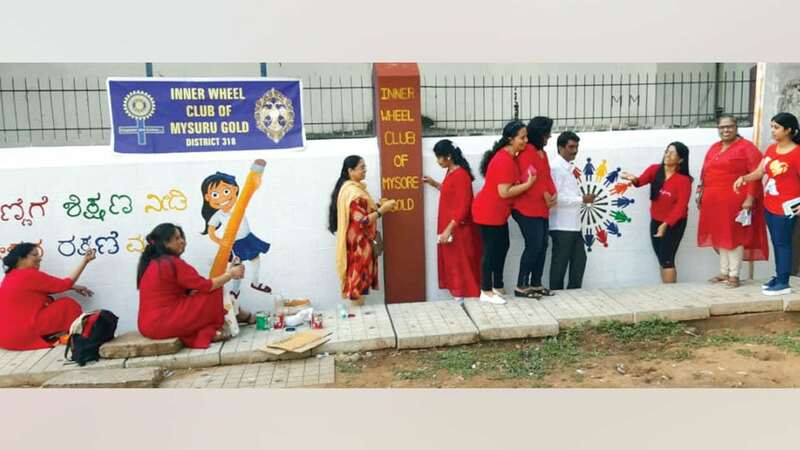 As part of the campaign, Club Members painted the walls of Mathru Mandali School on the theme ‘girl child education.’ Former Corporator SBM Manju, Inner Wheel District 318 Chairman and Paediatrician Dr. Sarika Prasad, Inner Wheel Club of Mysore Gold President M.R. Vijayalakshmi, Vice-President Abhijna Rajiv, Editor Padma Santosh, Joint Secretary Uma Ramanathan, Treasurer Mamatha Madhavan and other Members were present.